The OpenLabTools initiative aims to provide a forum and knowledge centre for the development of low cost and open access scientific tools, with an emphasis on undergraduate and graduate teaching and research. We focus on establishing modular components commonly required for such tools; these include data acquisition, sensing, actuating, processing and 3D manufacturing. Protocols, designs and tutorials are published on this website. 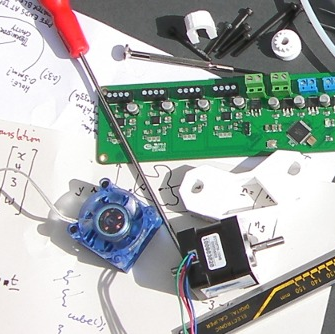 These components are subsequently combined to create a documented collection of instruments, to be developed and maintained by a community of undergraduate and graduate students of the University. Currently developed instruments include an automated microscope and a mechanical testing system. The programme benefits from the financial support of the University of Cambridge through the University's Learning and Teaching Innovation Fund. The Raspberry Pi foundation and BNY Mellon also generously supported the initiative by funding summer internships. There are many ways to get involved. Please contact us directly to discuss about how to contribute.